"This is such a yummy, yummy recipe that my family and friends just love! Especially the men!" I used 1/2 cup of applesauce instead of the butter and it was an awesome muffin! Will definately make again! 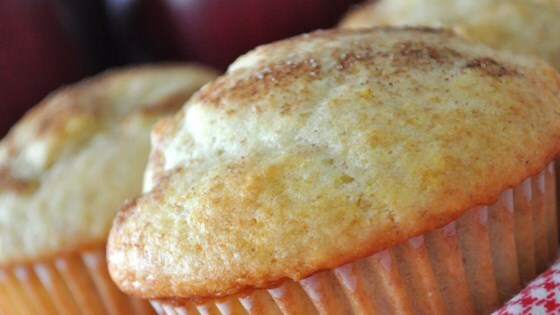 These muffins are wonderful. I added more apple, as my family loves them. They are tender and wonderful hot, right out of the oven. I will definately make these again. These are pretty good. A little too cake like but the flavor is really nice.